80s babies will tell you that virtual reality isn’t just a recent development. There was the Virtual Boy, one of Nintendo’s most prolific flops. Television loved virtual reality, and Hollywood embraced it with films like “The Lawnmower Man.” Ultra-powerful flight simulators used “virtual reality” to help train pilots, but for all of the posturing and Hollywood hype, VR never made its way to the masses. Today, that’s changing. A technology we’ve been excited about for over two decades has finally matured into something everyone really can enjoy. 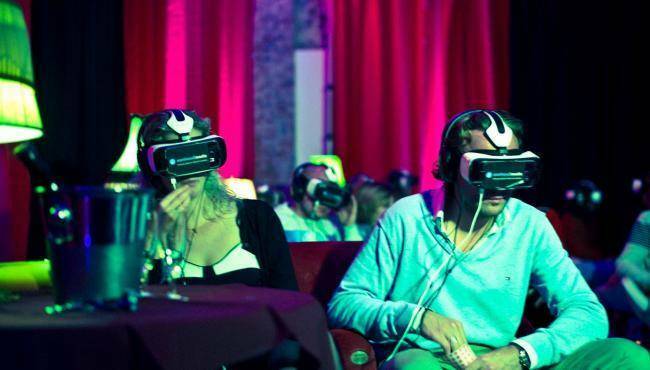 A decade from now, we won’t be laughing about virtual reality’s failed attempts. Instead, we’ll be asking ourselves what we ever did without it. Here are six examples of where you can expect to see “virtualization” take over. Just as we mentioned with flight simulators — and even with the military’s new efforts to use VR video games as a method of combat training — VR can make educating new employees quicker and more efficient in a number of fields. Walmart is pioneering this idea by creating lifelike scenarios where new employees can engage with realistic customers in real-world scenarios. It’s been an open secret for some time now that Facebook, “Second Life” creator Linden Labs and other social media giants are actively fueling projects to create virtualized meeting rooms where people can come online to interact with their friends using avatars. You’ll be able to hold a friendly conversation or take part in fun, virtualized group activities. Planes aren’t the only vehicles you can learn to operate in virtual reality. Race car drivers spend hours in simulators learning every track, and now, thanks to the Marine Institute of Technology’s PMI programs in Baltimore and Seattle, would-be sea captains can get a feel for navigating the open ocean in a simulator. The simulators are equipped to replicate real-world naval operations in the open ocean and include a special scenario for tugboat operations. There’s even a working radio that cadets have to use! You’ve probably heard of therapy techniques that require a person to recount a traumatic experience they’ve been through. It might be that such an experience needs to be revisited multiple times to unpack the root cause of the trauma, but VR technology could expedite this process and bring the therapy to a quicker and more satisfying resolution by allowing counselors and patients to create VR representations of a traumatic incident for use in their practice. Years ago, we conceived the idea of performing battlefield surgery by “proxy,” a system wherein a robot performs the physical movements of a doctor working in a safe space miles from the battlefield. However, period technology wouldn’t allow it. This proxy system now exists, and the technology is reaching levels of affordability that make it accessible to civilians as well as the military. People who want to see the steeps of Nepal’s Himalayas or trek the Great Silk Road across the Gobi Desert but can’t stand flying or lack the time or money will have a new option in the age of VR. The world’s epic locations can now be explored from behind the safety of a set of VR goggles. As technology advances, expect everything from temperature to smell and taste to enter into the experience, creating a truly immersive visit that you can share with your friends. It seems impressive now, but VR is really just the evolution of the computer graphics technology we’ve been enhancing for the past 30 years. New advances in sensory-feedback devices will augment the ubiquitous VR headset to bring what’s possible with VR to new levels. You can be certain that while the six examples listed here will ring in the era of virtual reality, they’ll only be the beginning of the VR revolution to come.